J&W Seafood Chesapeake Bay Soft Shell Crabs are offered in the forms of live, fresh dressed and frozen. We grade our soft shell crabs by the following grades: Whales, Jumbo, Prime and Hotels. 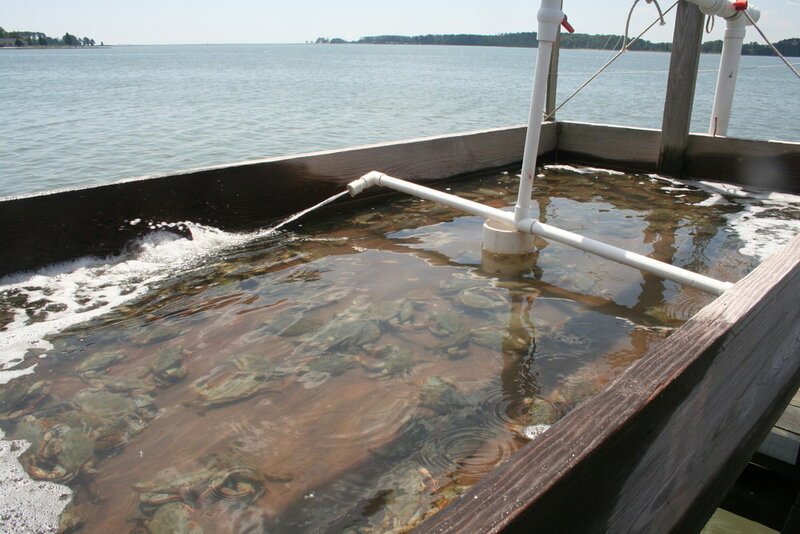 J&W Seafood is a leader in the processing of Chesapeake Bay Soft Shell Crabs. Our soft shell crabs are electronically graded and sized. The main molt of the soft shell season is historically marked with the first full moon in May, depending on weather the following 4-6 weeks will represent the bulk of annual production of soft shell crabs. Peeler/molting crabs are brought into our facility where shedding tanks are monitored every hour for crabs that are actively molting. A staging process is setup for the different molting stages. If you are interested in finding out more information about our soft shell products please contact us via our Wholesale Connect Form.